Think that all too often contemporary culture is bland, insipid and avoids exploring important social themes? The Sacrum Profanum festival will show you otherwise! The annual celebration of independent music is held between 11 and 17 September under the banners of: NDPNDNC / FRDM / EMNCPTN / PHNTSM. On the centenary of Polish independence, we bring back memories, recall past events and celebrate freedom. At times like this, should culture play second fiddle to politics? The organisers of this year’s Sacrum Profanum couldn’t agree less! “The boundless freedom of expression and artistic independence bring about meetings of ideas, signal important topic and ask pertinent questions,” says the festival curator Krzysztof Pietraszewski. His challenge has been taken up by many artists, but the real discussion can’t start without our participation. The organisers explore themes of independence, freedom, emancipation and phantasm, and ponder whether we are even able to fully immerse ourselves in the concepts. How are NDPNDNC and FRDM related? What does EMNCPTN bring? Where does PHNTSM even fit? The ideas are intertwined throughout the festival, bringing further questions and doubts. But fear not! The organisers are at hand to help: they have prepared a fascinating dialogue of ideas, and created a scale rating events from the least challenging (✌) through those requiring more patience and engagement (✌✌) to rather more avant-garde works (✌✌✌). The festival starts as it means to go on. During the opening concert Medusa (11 September, Cricoteka), the flautist Dominik Strycharski tackles two myths: as well as taking on the legendary monster with snakes for hair, he also faces up to Polish sonorism. The starting point of the evening is the work Head of Medusa composed for flute in 1992 by Witold Szalonek, followed by Strycharski’s own Ghost of Medusa commissioned especially by the festival. It promises to be a fascinating dialogue! The same evening features an encounter between jazz and contemporary music. The Museum of Municipal Engineering hosts Fire! Orchestra from Sweden, led by the saxophonist Mats Gustafsson, performing Krzysztof Penderecki’s 1971 composition Actions and Bogusław Schaeffer’s graphic scores. Gustafsson appears again on 12 September at Cricoteka during a solo performance paying homage to his compatriot Bengt Nordström (1936-2000) who blazed the trails of Scandinavian free jazz. Inspired by Nordström, Gustafsson follows his own path and he is already widely regarded as a veteran of the European improvised music scene. He will be playing a Grafton plastic alto sax, favoured by Nordström himself and legendary American musicians including Charlie Parker and Ornette Coleman. Speaking of Coleman, his spirit seems to be overseeing this year’s festival. He was one of the leading proponents of breaking down musical boundaries, and his album The Shape of Jazz to Come laid down the foundations of free jazz. One of the concerts of this year’s Sacrum Profanum is named after the groundbreaking record. On 15 September, ICE Kraków welcomes Zeitkratzer from Germany and the Swedish vocalist Mariam Wallentin with their bold interpretations of early jazz standards. We will hear more jazz accents during the programme Antagonisms held on the same evening. The masterly ensemble Musikfabrik is joined by one of the key figures of European free jazz: the German improviser Peter Brötzmann, hailed as the loudest saxophonist in the world. The Auditorium of ICE Kraków resounds with compositions by John Zorn, Anthony Braxton and Michael Wertmüller. This year’s festival is nothing if not filled with artistic tension. The encounter between Apartment House from the UK, the French musician Jérôme Noetinger and the Swiss composer Antoine Chessex (Accumulation, 13 September, Museum of Municipal Engineering) is an intense dialogue between organic and electronic sounds, breaking down the barriers between them to create a coherent whole. We will also hear a fresh (and loud!) take on contemporary music from GGR Betong. The main source of inspiration for the Swedish orchestra was the Polish composer Zbigniew Karkowski, who worked in Göteborg in the 1980s. His composition Doing by Not Doing forms the central point of the concert at the Małopolska Garden of Arts (14 September). The project ¢ollective (16 September, Museum of Municipal Engineering) takes on the rather taboo subject of money in art. The Cracovian ensemble Spółdzielnia Nowa presents a programme exploring the controversial subjects of capitalism, commercialism and consumption. 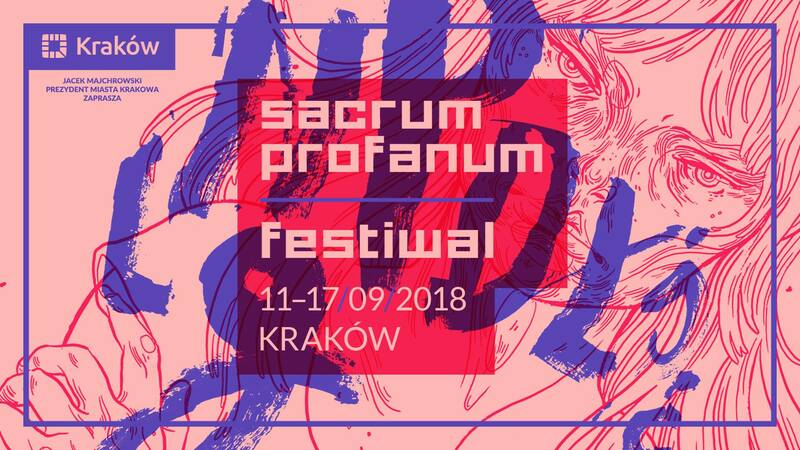 This year’s Sacrum Profanum features works by 27 Polish composers – a record in the festival’s history. The long list of homegrown names is no accident, and one obvious reason is the centenary of Poland’s independence. However, true to form the organisers take on a rather broad perspective. The programme of the concert Systems (12 September, Małopolska Garden of Arts) of the NDPNDNC band is a review of different political systems, from monarchies through socialism and totalitarianism to democracy, with a nod to matriarchy. The standout piece Declaration – commissioned by the festival – was composed by Zygmunt Krauze and the Hashtag Ensemble, recalling Krauze’s Tableau vivant (1982), written in response to the introduction of martial law in Poland. The series of PHNTSM concerts provides a breather for participants and instruments alike. Aeolian (15 September, ICE Kraków) is performed using traditional instruments from the aerophone family such as accordion, as well as those made especially for the occasion by Kathy Hinde. The visual artist was joined by the composer Maja S.K. Ratkje and the accordionist Andreas Borregaard to create an audiovisual installation filled with references to fairytale lands. The concert is a real treat for audiences of all ages! The festival also has a tradition of presenting projects prepared for toddlers. This year’s performance is directed by Alicja Morawska-Rubczak, with sets by Barbara Malecka and music by Wacław Zimpel. The thirty minute-long performance Close (16 September, Cricoteka) focuses on matryoshka dolls, symbolising motherhood and concealing many surprises. A pair of dancers (Paulina Giwer-Kowalewska and Filip Meyer-Lüters) reveal a world of magical connections between people to a live music accompaniment. But fairytales aren’t just for kids – they are also for adults and even robots. Cracovian celebrations of the anniversary of the birth of Stanisław Lem, held on 12 September, are incorporated into the Sacrum Profanum programme for the first time (more details on p. 29 of September issue of “Karnet” and on the festival’s website). Sounds of the Folk Music programme (13 September, Małopolska Garden of Arts) are often regarded as bucolic. The event prepared by the Radical Polish Ansambl as a homage to Zygmunt Krauze features traditional folk sounds, with the organisers dedicating it to “the Kraków professor who is yet to see the potential of folk music”. We will also hear premieres of compositions by Agnieszka Stulgińska and Sławomir Kupczak, performed by Olga Kozieł, Maniucha Bikont, Ewa Grochowska and Jagna Knittel with the Warsztat Muzyczny ensemble. The concert Element (14 September, Cricoteka) is perfect if you find yourself seeking shelter from noisy reality. Elemental II is a composition for deep listening, penned by Éliane Radigue for Kasper T. Toeplitz. A pioneer of electronic music, Radigue briefly steps away from synthesisers to create a work for electric bass. Entry to the Polish premiere of the work is free! Choreographers Yukiko Shinozaki and Heine Adval attempt to blur boundaries usually found in stage arts in their The Otheroom (16 September, Małopolska Garden of Arts), set to music by Rolf Wallin. But the success of the project is up to the audience: the viewers are invited to enter the space usually occupied by dancers, musicians and props. The traditional concert format is replaced by a brand-new ritual. One thing is certain: you won’t see another performance like it! As testament to the commitment of Sacrum Profanum’s organisers to the idea of EMNCPTN, 48% of the works presented during this year’s festival have been written by women. The concert/manifesto by the British quartet Arditti, titled Emigrants (17 September, ICE Kraków), is almost entirely based on a repertoire by Polish composers Elżbieta Sikora, Hanna Kulenty, Barbara Buczek and Jagoda Szmytka. They tackle the subject of immigration, pertinent in contemporary Europe, through their first-hand experiences: Sikora has been living in France since the early 1980s, Kulenty has been splitting her time between Poland and the Netherlands since the 1990s, while Szmytka lives in Germany. Sacrum Profanum closes with the opera ahat ilī – Sister of Gods (16, 17 September, ICE Kraków) commissioned especially for this year’s festival. The libretto was penned by Olga Tokarczuk, based on her novel Anna In in the Catacombs, reaching for one of humankind’s oldest myths. Her protagonist is the Sumerian goddess of love and war Inanna. However, in the opera – directed by Pia Partum – the focuses shifts to her servant ahat ilī. The spectacle follows the protagonist as she tries to come to terms with the world of gods as we witness her inevitable defeat. Originally written in Polish, the opera will be performed in several languages: modern English for the human characters, and selected ancient languages – Acadian, Latin, ancient Greek, Proto-Slavic and Aztec – for the gods and demons. Aleksander Nowak’s soundtrack reaches for contemporary forms of expression and occasionally borrows from early music. Performers include soloists Joanna Freszel, Ewa Biegas, Urszula Kryger, Jakub Monowid, Łukasz Konieczny, Sebastian Szumski and Bartłomiej Misiuda, accompanied by the AUKSO chamber orchestra and the Polish Radio Choir.